Count me along the Browncoats – like so many others, I loved Firefly and was crushed when the series ended with the story only half told (and was grateful for Serenity for later existing to correct that). I used to sit and watch the show while crocheting away – I don’t think I’ve watched a movie or TV show over the past decade without some sort of project in my hands. So what a fitting surprise when one of my favorite crochet designers – Polly Plum from Every Trick on the Hook – put out her eBook of Firefly crochet patterns named after the women of the series. The collection, called “Shiny” features 4 patterns named after each of the awesome female characters – Zoë, Inara, Kaylee, and River, and Serenity (the ship), who I suppose is technically female as well. I had so much fun making these I’d been waiting to find the perfect color combination before starting this series, and I ended up with a variation of a swap scheme from the VCFC group on Ravelry. The swap, from last fall was the “Retro Doodles” colors, originally: Magenta, Lilac, Brick, Peacock, Lime, and Fisherman from the Vanna’s Choice yarn line. I modified this somewhat, bringing in Big Twist yarn in two colors – Sprout, which replaced the Lime color – which I can’t find anywhere anyway, and is also much brighter and more saturated than Lime; and Cinnamon, the brownish color, which I purchased a whole bunch of when it was on clearance some months back. I also replaced Fisherman with Beige, which I felt has a more retro-ish feel to it, kind of like weathered white does when it’s 50 years old. Anyway, after finally settling on the colors, and being so uninspired for the past few months with the current projects I’ve been working on, I pushed everything else aside and whipped up all the squares from Shiny in a matter of only a couple of days. And I’m so in love with the results! The Shiny e-book is a Ravelry download. At the time of this post, the cost is $9.99, which comes out to about $2 a pattern. I would say it’s definitely worth it. 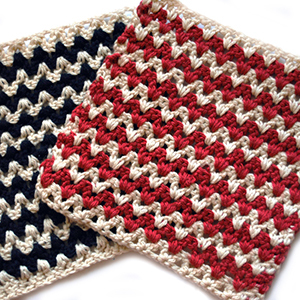 However, each pattern is also available individually for $2.49. You need a Ravelry account (free) to download the patterns. This was the first of the bunch that I made. I wanted something that was challenging and absolutely gorgeous, and River did not fail to deliver. I’m a big fan of the hdc in 3rd stitch, which was utilized heavily in this pattern. And I think the end result is just lovely. I wasn’t expecting Kaylee to be as much fun as it was. The ruffles are so satisfying. I sometimes get a little bored with center floral motifs, because so many of them are only slight variations on the same thing over and over. But this was definitely not one of those. And the leafy edge ruffles were a nice touch. Inara turned out to be my favorite of the bunch. In order to place the colors in the pattern method that I had in mind, I ended up using tapestry crochet with two colors in order to get the center cross the way I wanted it. It was a bit of extra worth, but the end result was worth it. So, you may be wondering, where are the Zoë and Serenity Firefly crochet squares in all this? And the answer is that Zoë is completed, but I had a lazy weekend, and honestly haven’t gotten around to photographing it. But that’s on the list of the (many) things I hope to accomplish today and will hopefully be up tomorrow. 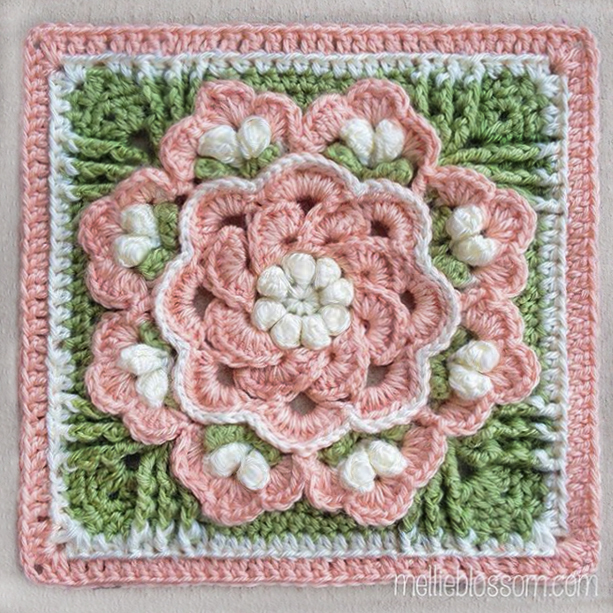 The Serenity square, on the other hand, is on the list of squares to make. But because I wanted some more complicated crochet to work on, I ended up setting that one aside for later. I have big plans for this series of squares, though – and it includes continuing this color scheme through plenty more Polly Plum squares. Stay tuned!